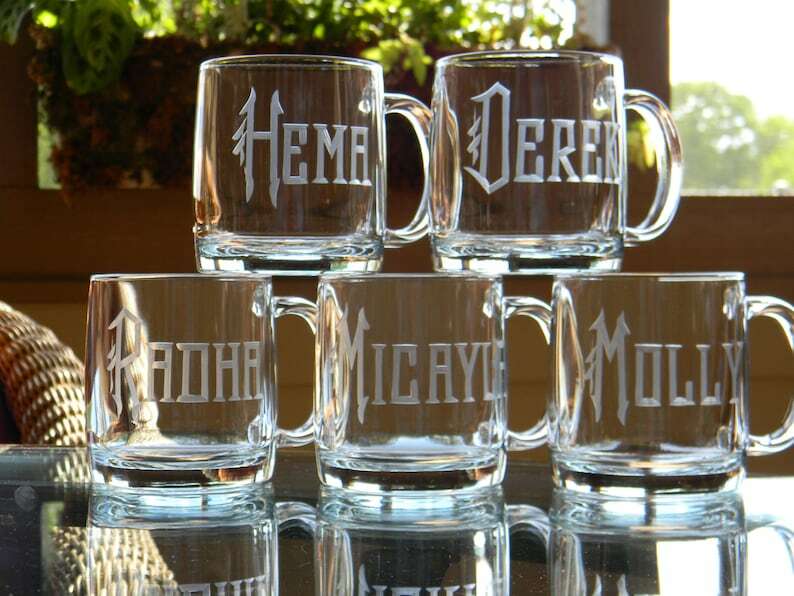 Set of 6 hand engraved Nordic Coffee Mugs personalized with name. This clunky and heavy based mug is simply cool! Clean lines and shape. Great in any kitchen. Serve a cup of Joe or a mocha parfait in style. Makes a great gift for the family. Surnames and/or nicknames are always a hit too.